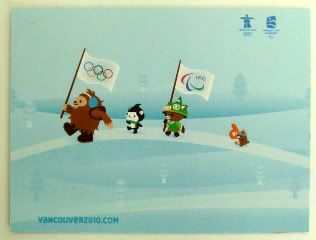 Remember when we were all watching the 2010 Winter Olympics, where we had these supercute little mascots, and I magnetblogged about them? And like everyone at the outdoor venues were all bundled up in layers and layers of warm clothing? Because it was cold outside? Remember that? Remember how cold it was here? Remember? Yeah. Those were good times.